NBYC keep their crown by seeing off a stiff challenge by the Society in the O&CSS Wroxham Match 2017 on Saturday 2nd September and so retain the match trophy 4-3. George Harston reports. It was a lovely day’s sailing and I think we acquitted ourselves tolerably well. In the afternoon I ran a match racing event, which was won by the NBYC team captain, David Talbot. We were also treated to the use of a Slipstream. 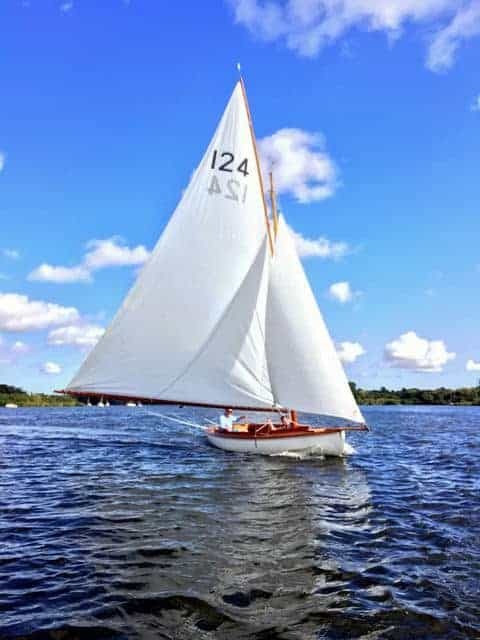 A local team member had restored this boat, originally designed and built by his father.